I would love to get to know you and talk weddings. Give me a call and let's set up a time to chat, answer your questions, and go over some packages. Send me a text or contact me through my site so we can set up a time. I love all things weddings, and even more so, I love photography, and I would love to sit down and talk to you about your dream wedding. My style is versatile and my goal is to get the shots you want. I love to capture the real moments that happen throughout your wedding day along with the details that you sometimes miss during the business of it all. With experience in a wide variety of photography, I know how to capture the most important moments in any wedding. My goal is to capture unique, timeless and creative photos for you to love and cherish for a lifetime. Photography is hands down, the most important investment of your wedding day. It's one of a few things from your wedding that you will keep forever. Imagine yourself and your spouse in 50 years, and imagine what you want to remember from your wedding. My goal is to provide you with images that you can cherish for a lifetime while you remember one of the best days of your life. Hi, I’m Zach, and I’m a photographer. I began photography as a hobby over a decade ago. The more I've spent with a camera, the more I learn that being a photographer is what I love doing. I’m currently based in Salt Lake City, Utah. I love travelling the world, enjoying the outdoors with activities like hiking, rock climbing, mountain biking, skiing, camping and spending time with my family. My goal is to offer a versatile array of photography styles. I find that most weddings require a mix of candid, journalistic, modern and creative photography. I am skilled with a camera and experienced ensuring that I don’t miss the important moments and I get the important shots you expect. My style in your wedding crowd is laid back and easy going, I aim to blend in and help the day go along as smoothly as possible. I love documenting the candid and natural moments that make up your wedding. I do well under pressure and have no problem guiding large wedding groups but I’m never too loud or overbearing. I am a worldwide destination wedding photographer. If you’re looking for a wedding, engagements, bridals anywhere in Utah or anywhere worldwide, I would love to set up a time to meet or chat. My photography aims to capture your true personality and memories as they unfold. 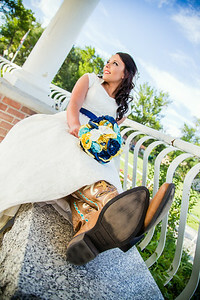 I love doing Utah Bridals photography. 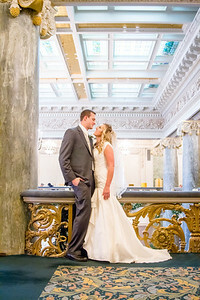 I strive to capture creative and timeless photographs of you, your family, and your wedding. I have experience with all types of wedding coverage including temple weddings, receptions, ceremonies, candid shots and formal or first-look sessions. Your wedding is one of the biggest days of your life and I sincerely hope you have an amazing experience that you can remember for a lifetime. Investing in a skilled photographer to add to that experience while capturing each cherished moment between you and your sweetheart, as well as your family and friends will undoubtedly become one of the wisest investments of your life. Your marriage will last forever and your wedding photographs will be a valuable reminder of the start of the rest of your life together. I'm excited for you and the memories you are going to create and would love to be a part of capturing those memories.